EVERY YEAR BIKE4LIFE ATTEMPTS TO GIVE BACK TO THE CITY THAT SHOWS CONSTANT SUPPORT FOR OUR MISSION; RAISING AWARENESS FOR LIFE THREATENING DISEASES; HIV/AIDS, DIABETES, OBESITY, AND BREAST CANCER. 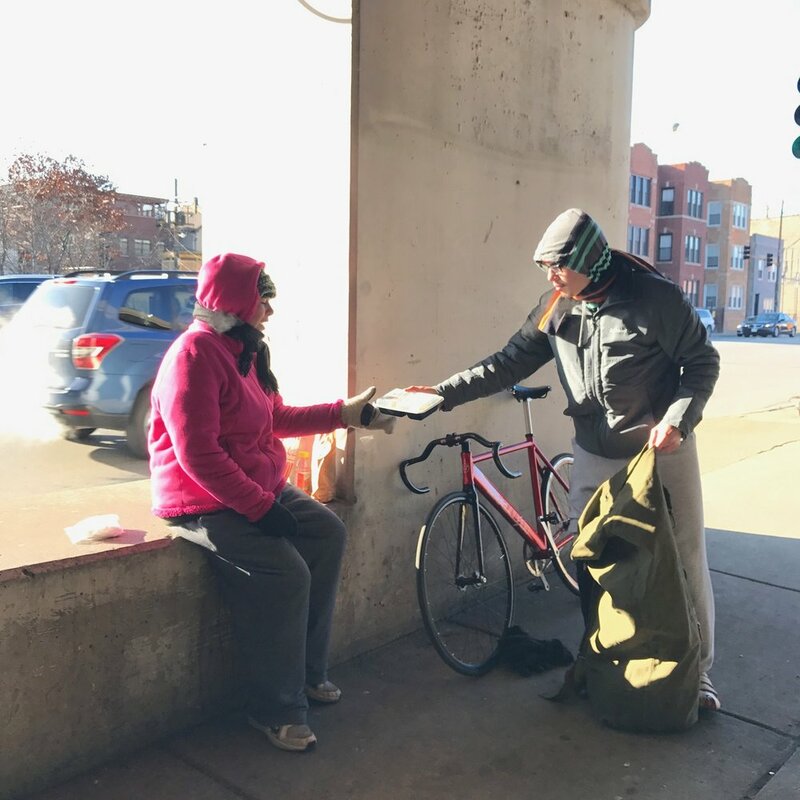 THE BIKE4LIFE’s ANNUAL FOOD DRIVE IS AN EVENT THAT WAS CREATED TO HELP FEED THE HOMELESS IN CHICAGO, AND RAISE AWARENESS FOR OUR CAUSE. WE DO THIS BY HAVING INDIVIDUALS; HELP THOSE IN NEED BY DELIVERING FOOD, VIA BICYCLE COURIERS. WE HAVE A GROUP OF PROFESSIONAL COOKS THAT WILL PREPARE AND PACKAGE THE FOOD THAT WILL BE DISTRIBUTED. THIS EVENT WOULDN'T BE POSSIBLE FOR US WITHOUT THE SUPPORT OF EVERYONE SPREADING THE WORD, ALONG WITH IN-KIND DONATIONS FROM PEOPLE LIKE YOU. Our next event will take place on April 15 ,2017. The Bike4Life Annual Food Drive is an event created to give back to others in the community that are in need. Check out our galleries where we show some of our favorite memories and acknowledge the countless of reactions sent in to us by volunteers themselves. You can support our cause by donating a contribution to our page, come on out and help us deliver food, or by spreading the word about our cause. Any way you choose, we would greatly appreciate it! If you have any further questions, please feel free to contact us at our Contact Us page. We at BIKE4LIFE, thank you for your continued support.